Hope you are having a great day! 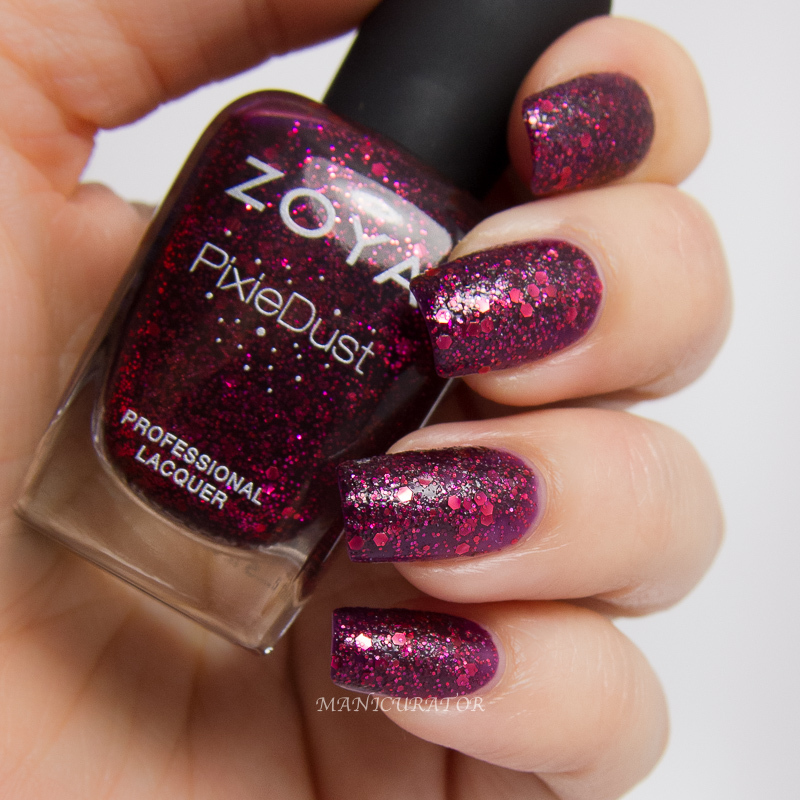 If not, maybe a chance to win this gorgeous Fall 2014 Zoya Ultra Pixiedust Trio of Oswin, Noir and Arianna will cheer you up. 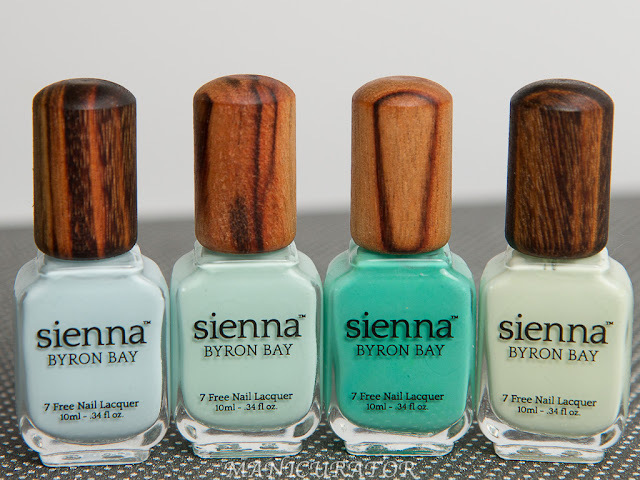 Just enter the Rafflecopter at the end of the post for your chance to win the set courtesy of Zoya! 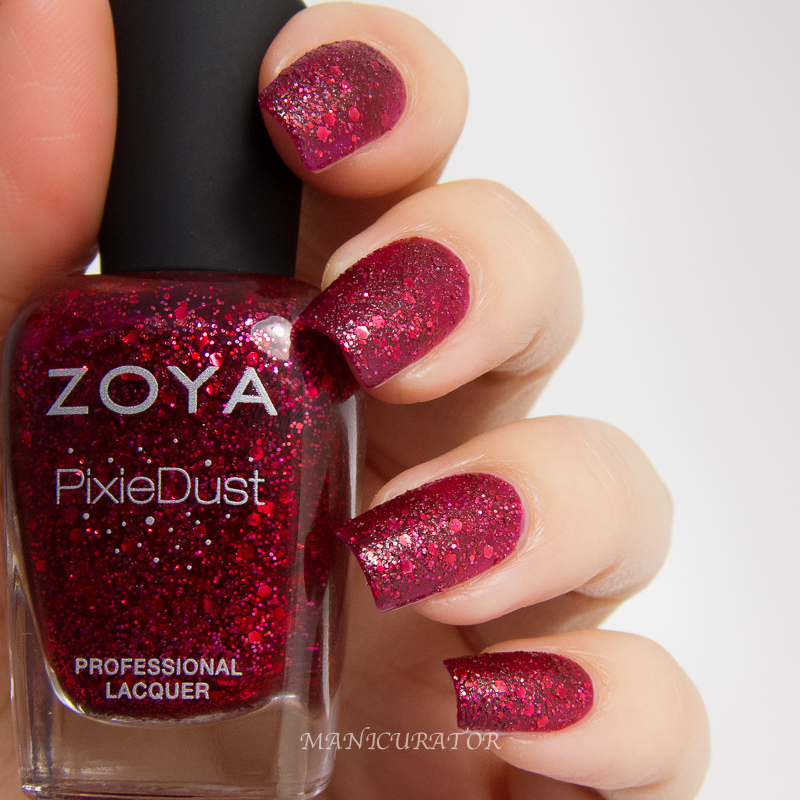 Zoya Arianna a blue-toned red wine textured PixieDust with Mega Hex particles. All swatches here are 2 coats, with excellent formula. Great coverage and the polish goes exactly where you want it to. 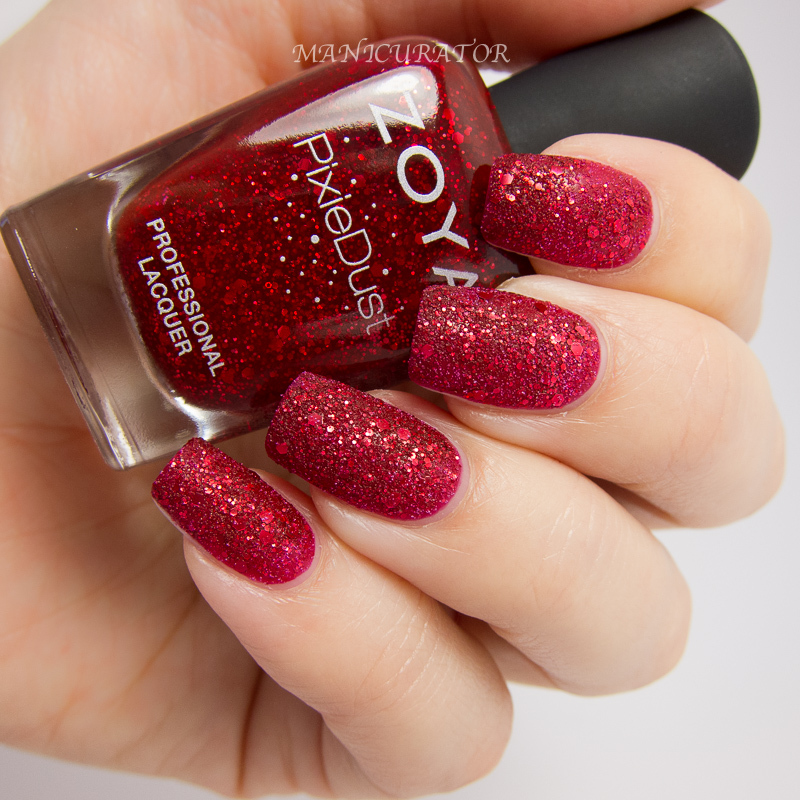 Like other bloggers have stated in their reviews, Arianna and Noir seem to not dry down to the same exact finish as Oswin. I allowed plenty of time in between coats and made absolutely sure the second coat was dry before taking photos. 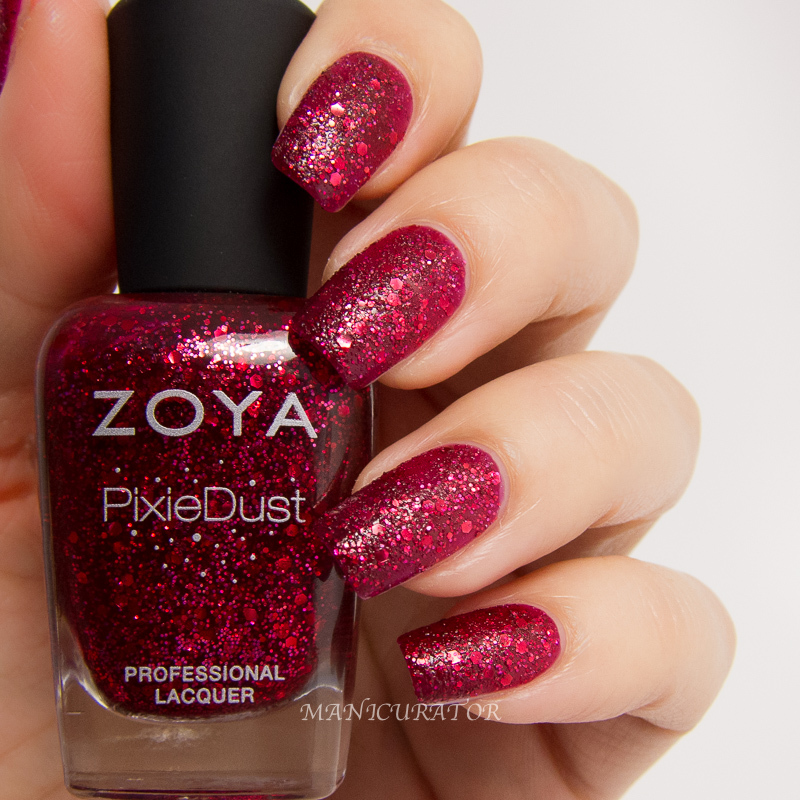 Zoya Noir a deep, vampy plum textured PixieDust with red Mega Hex particles. Love this shade! A perfect mix between the base color and the glitters. 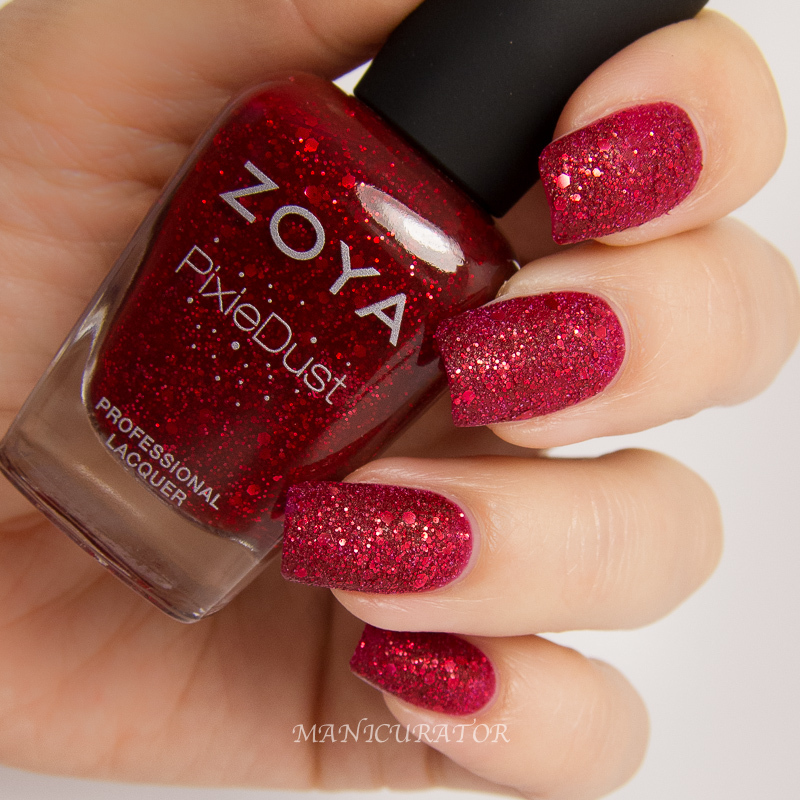 Zoya Oswin a cool leaning true red textured PixieDust with crimson Mega Hex particles. This one just screams holiday party to me! Aren't these so rich and perfect for the season? Amazing swatches as always and what an awesome giveaway! Really nice fall textures these are. I really like Oswin on you..pretty! Noir is my favorite... gorgeous swatches. When I saw the swatches, I was going wild, all the polishes are fantastic, they have that WOW effect! Oswin is simply stunning! I do wish the other two dried down matte as well, looks so much prettier in my opinion! 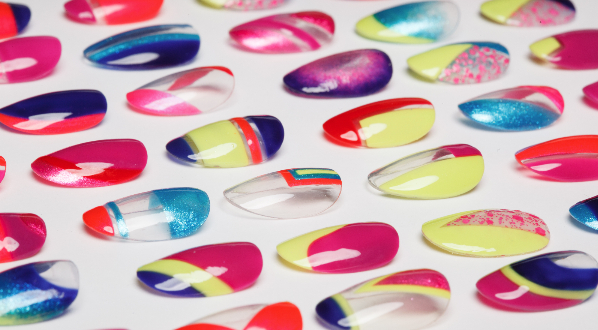 wow I love the polishes! hello, was the winner chosen? thank you in advance!